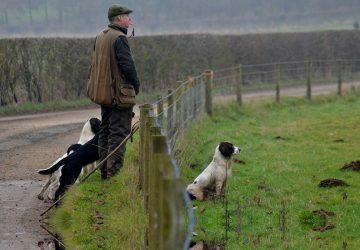 Selecting your gundog pup is a big decision. Get it right and you will reap the rewards for years. Get it wrong and you could spend years trying to train and correct it. To help you get it right, we spoke with Simon and Kate of Stoneycairn Gundogs. Both pick up a number of days per week during the shooting season but Kate also trials with her dogs which interestingly means that pup selection for Kate is different to that of Simon. 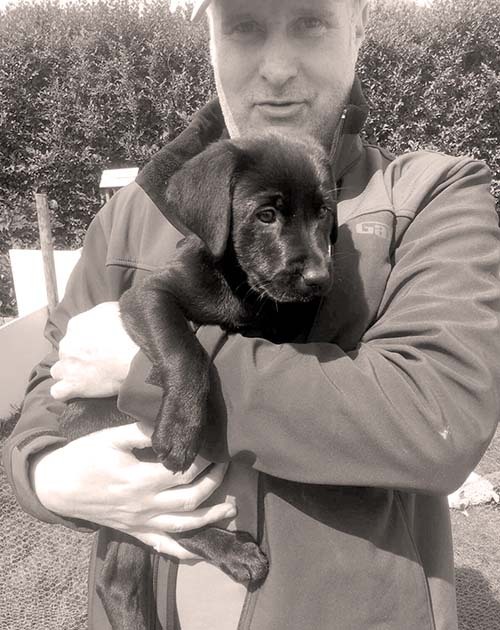 This is an excerpt from a full interview we did on the podcast with both Kate and Simon – you can listen to the full interview here where they go into a lot of detail not just about selecting a gundog puppy but feeding, training and a whole lot more. Simon: Because I pick up and don’t trial unlike Kate who does a little bit of trialling, we tend to look at different things in a dog. 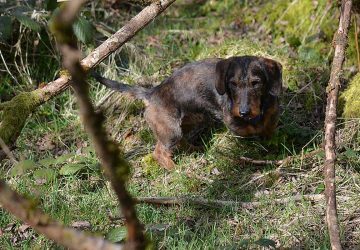 I look at something that’s got a fairly high retrieve drive, and this is my personal preference, but I quite like dogs with a big stamp, particularly spaniels with a big stamp. I like big powerful dogs but I’m also looking for something that’s affectionate to me. The dog needs to have plenty of drive and should be capable of some independent thought. It becomes quite interesting because I would say that when Kate and I discuss it, we do look at things differently. We both agree that you should always look at the mother. We’re both firm believers that the mother is more important than the sire. I have no empirical evidence to support it but we tend to insist on looking at the mother. A look at the sire is nice if possible but the mother is the most important thing to us. I also simply look at the dog and think ‘do I actually like that dog’? That will always be the starting point. We will look at its lines and whether there’s any examples of too much inbreeding, in terms of its breeding coefficients. Whether there’s any health test issues with it, hip and elbows especially in Labs. 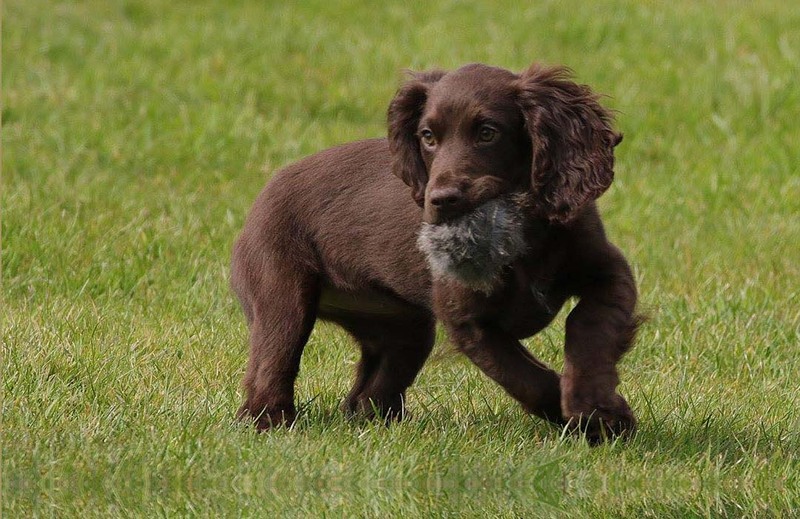 It’s becoming more so now in Spaniels as well, but we tend to try and get a whole picture from it. To some extent you’re then making a gut decision but when we go to look at a pup, I tend to try to look at them all. You try to make that the legs are all in the right corners, you’re looking for things like undershot jaws, if there’s a hernia in it and things like that which you want to avoid. To some extent though, there will always be an element of ‘I like that one’ in the end. Rob: If you have the pick of the litter, would you spend some time looking at each pup and would you try to figure out the personality? Simon: Yes but equally there’s that element of gut reaction as well because how often do you walk into a room of complete strangers and think ‘I like them’ but you don’t really know who they are. Your gut reaction is normally right and I have to be honest, I’ve been lucky so far and haven’t made many wrong choices. All our dogs are different to each other but I like every one of them. Simon with a black Labrador puppy. Rob: Kate, is there a difference in your approach to pup selection with field trialling in mind as opposed to Simon’s where he knows that he’s not going to be trialling, just picking up? Kate: I tend to look at bloodlines first and foremost and I want something that’s got lots of field trial champions in its breeding, although not necessarily champion to champion bred. Because the field trialling is a hobby and I pick up as well, I don’t want something that’s going to be ridiculously revved. I wouldn’t necessarily go for champion to champion breeding for that reason but I would want to see plenty of champions in a pup’s bloodlines. When Simon looks at a puppy, he goes and looks at the litter and looks at the characteristics of the litter. Once I’ve decided on what breeding I want, I will go and look at the litter and providing they’re all healthy, there’s no hernias, nothing wrong with the mouths, and all the pups are healthy and alert, I will take whatever’s left. Rob: Interesting, why is that? Kate: I don’t like to think that if the wheels do fall off at some point, I’d be sat there thinking ‘what if I’d picked the other one’. Rob: OK so you’re looking more at the line rather than the actual dog itself. Kate: Yes. It’s important that the dog is healthy and it must be active. It should be alert, active in its environment and wants to be around you. After that though, providing it ticks all those boxes I mentioned earlier, I am happy to take what’s left out of the litter. Rob: And that’s always been quite successful for you? Kate: It has so far! Another thing to mention is to always buy from a reputable breeder who offers support, guidance and is happy for you to get back in touch in the future for any further help or advice. Good luck and beyond all the checks mentioned above, trust your gut instinct.